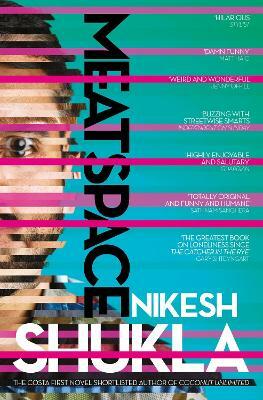 The second novel from Costa First Novel Award shortlisted author Nikesh Shukla. Kitab Balasubramanyam's life is falling apart around him. First he lost his girlfriend, then his job. The novel he put his all into didn't sell and he's not written anything beyond 140 characters since. He's pushing away his widowed father, unable to listen to tales of his dad's online dating successes, and now his brother Aziz is leaving their shared flat to travel to America in search of his Facebook doppelganger. Despite the relentless buzz of notifications on his phone, Kitab is alone. But when his only known namesake turns up in London from Bangalore, intent on being part of Kitab's life at whatever cost, Kitab is forced to fight for the identity he thought he was so tired of. Nikesh Shukla is a writer of fiction and television and host of the Subaltern podcast. His debut novel, Coconut Unlimited was shortlisted for the Costa First Novel Award 2010 and longlisted for the Desmond Elliott Prize 2011. Meatspace is his second novel.